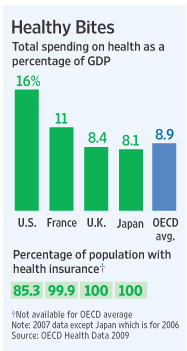 Health Expenditures. Total expenditure on health in 2007, as a percentage of GDP. The US economy declined less in the second quarter. This is a very nice grafic. 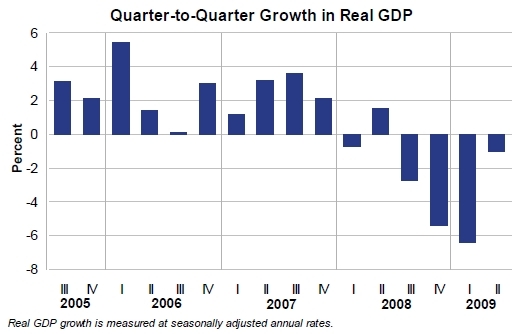 Real gross domestic product (GDP) declined 1.0 percent in the second quarter of 2009 after declining 6.4 percent in the first quarter, according to estimates released today by the Bureau of Economic Analysis. Details.